We collaborate with think tanks, universities and research institutes such as Fraunhofer to transfer cutting-edge technologies to both the industry and the civil society. Rapid prototyping, interdisciplinary teams and design sprints help us to achieve that. And through, what we call, blended education we merge digital and analogue resources to create more sustainable learning experiences as opposed to old-school classroom-practices. As a teacher or researcher you will get support for your semester projects. 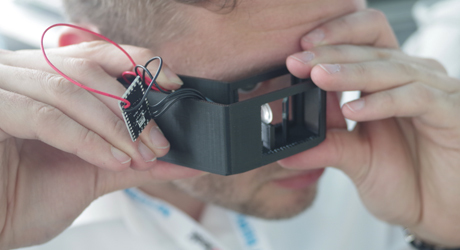 We help your students to develop prototypes and get feedback from experienced troubleshooters. We also offer boot camp-like prototyping-trainings that fit into semester curricula. We offer bootcamp sessions for entire university classes to learn about rapid prototyping and digital manufacturing from the piooners. We organize events for students to meet entrepreneurs working in relevant fields and learn from real life experiences. We welcome institutions and researchers to work and execute their investigations in our lab. 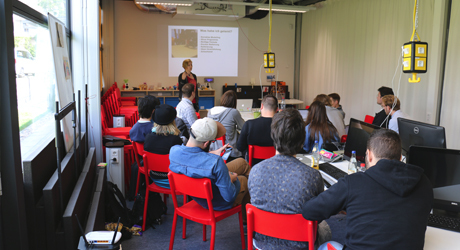 Recap MakeCity Festival Meetup: Introducing Textile Prototyping Lab Berlin with Kirsty Emery (Unmade)! We presented a demo-version of the Textile Prototyping Lab last week and had the chance to be introduced to Unmade's approach to textiles. Green making in the making at Fab Lab Berlin! 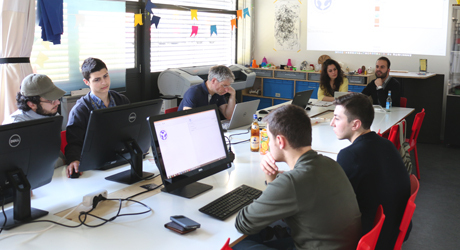 Do you want to collaborate with Fab Lab Berlin? We like to help academic institutions push our society further. Tell us what you’re working on or need help with and we can see how to help. Contact us below with details about your project or idea. Email Address: Which membership plan would you like to apply for? Email Address: Tell us a bit about yourself and what you would like to do at Fab Lab? Yay, we've successfully received your application! 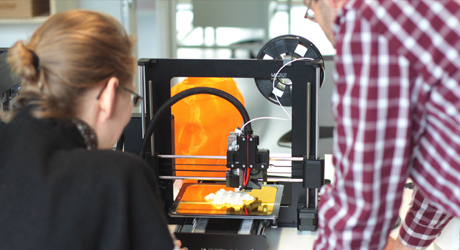 Next time you're in Fab Lab Berlin we'll be able to sign you up as a member. Oops! Something went wrong while submitting the form, make sure you've submitted all fields correctly.